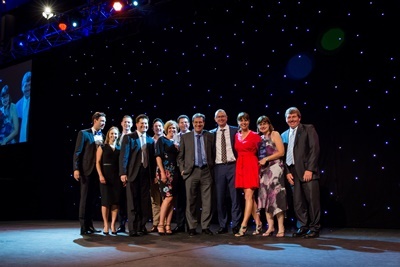 For the second consecutive year, Sydney Airport has been named the nation’s top Capital City Airport at the AAA’s prestigious National Airport Industry Awards. Sydney Airport also won the Technology award for its landmark facial recognition trial. Sydney Airport CEO Geoff Culbert said: “We’ve been focused on innovation and technology to drive greater efficiency across the airport and provide a world-class customer experience and we’re very grateful to our industry peers for their recognition. AAA Chief Executive Officer Caroline Wilkie said: “Sydney Airport has once again shown a constant focus on their passengers while also playing an active role in the state’s visitor economy. In addition to its biometrics trial, Sydney Airport has recently made a number of other customer-focused improvements. These include introducing self-service kiosks and automated bag drop at T1 International, implementing a Quiet Terminal initiative at T1, expanding the list of available languages on its digital wayfinding kiosks, and enabling passengers to receive personalised flight updates via Twitter and Facebook Messenger.